Help : Shipments for open Orders are created based on the delivery rule of the Order and the relative order priority. 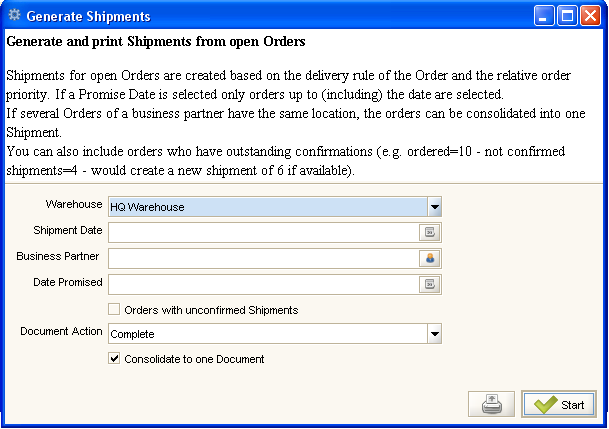 If a Promise Date is selected only orders up to (including) the date are selected. If several Orders of a business partner have the same location, the orders can be consolidated into one Shipment. You can also include orders who have outstanding confirmations (e.g. ordered=10 - not confirmed shipments=4 - would create a new shipment of 6 if available).